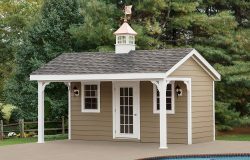 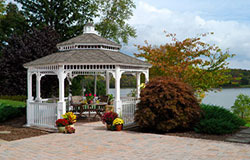 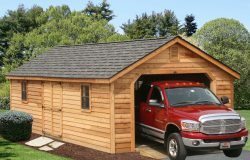 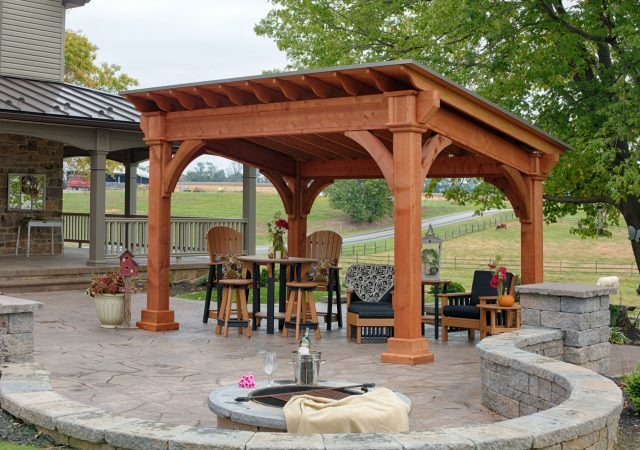 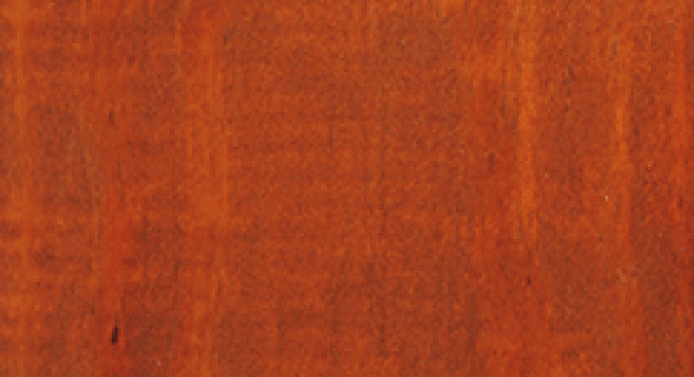 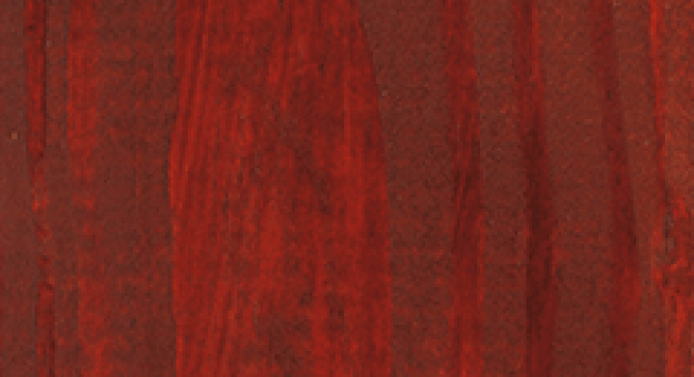 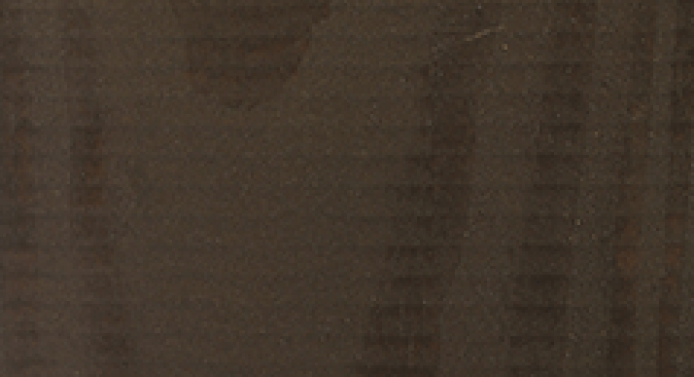 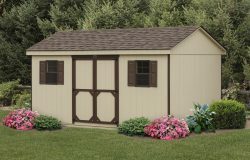 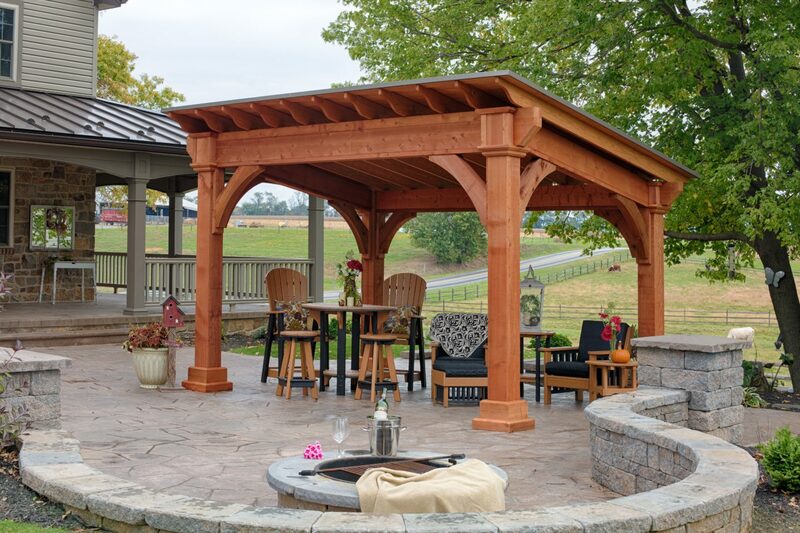 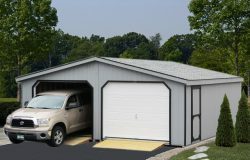 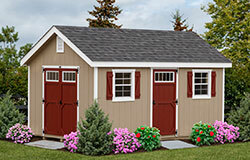 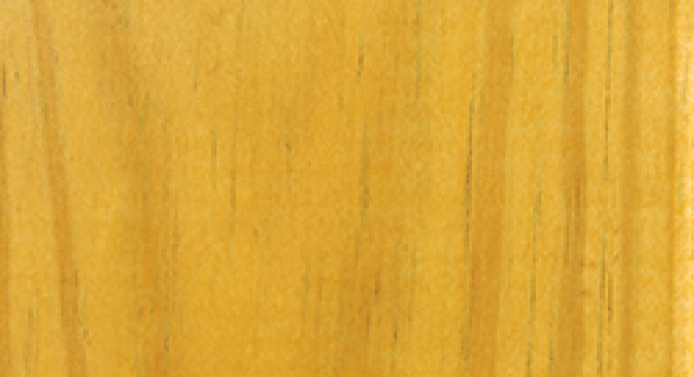 Your Wood or Vinyl Sante Fe Pavilion comes standard with 8×8 posts and decorative post skirts. 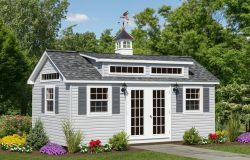 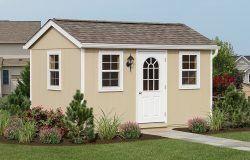 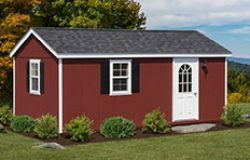 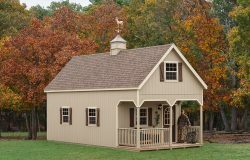 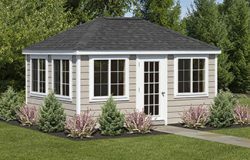 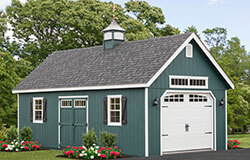 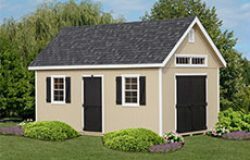 Large arched braces keep your unit solid and sturdy. 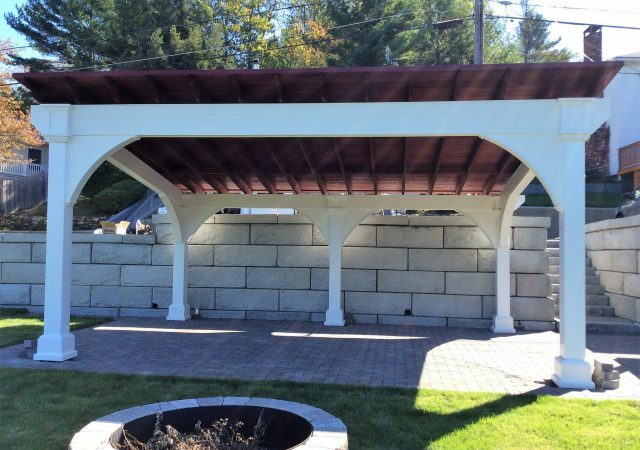 The Santa Fe Pavilion showcases heavy-duty headers on all four sides to support the roof. 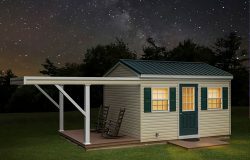 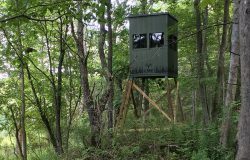 The roof is constructed of 2×8 joints and 1×6 roof decking, and covered with a five-v-panel metal roofing. 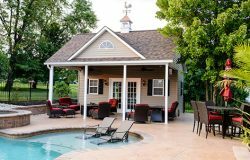 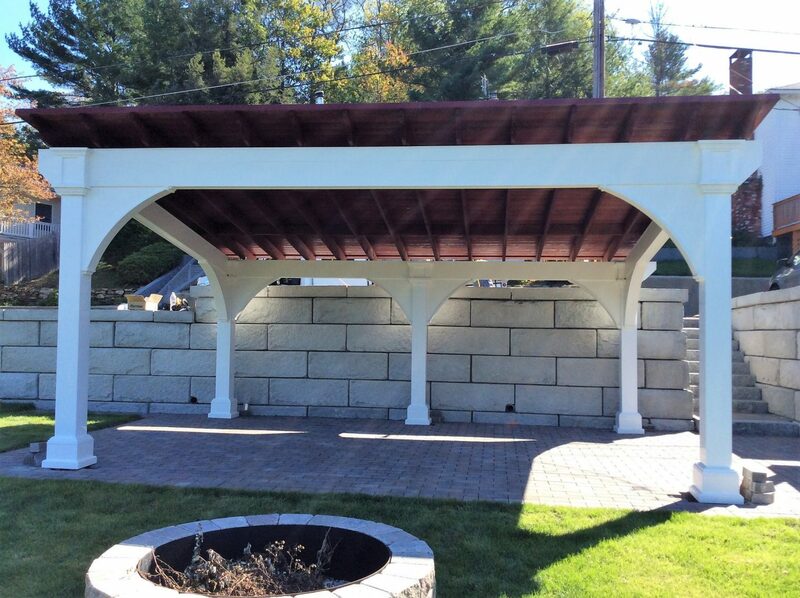 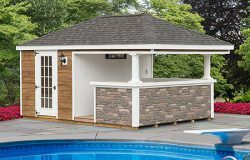 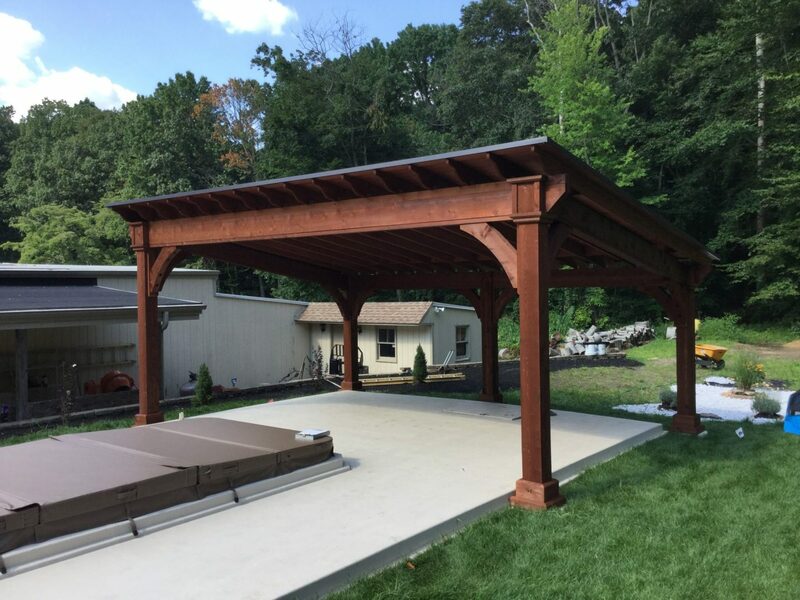 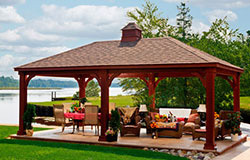 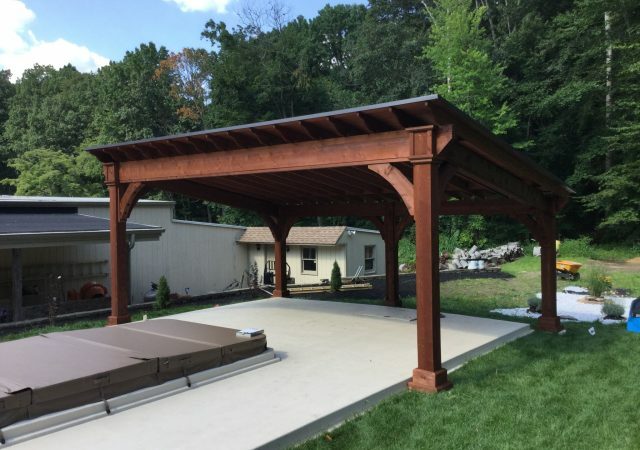 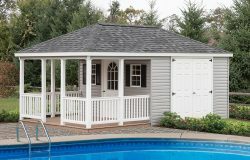 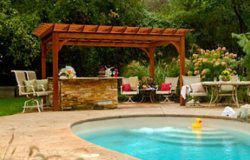 The underside of the vinyl pavilion roof comes standard with stained mahogany and the wood pavilions come unstained as standard.